Hello,Would the Teton 9" clif cut boxes still open with this wide of a top box? Liking the idea of keeping center of gravity a bit lower on the bike. Also, if I get the Teton side boxes along with this top box, what additional mounting hardware is needed for a 2016 Tiger xcx?Thanks! Yes the Clif Cut Panniers will work with the 33 liter top box. Yhe tail plate is higher than the panniers. 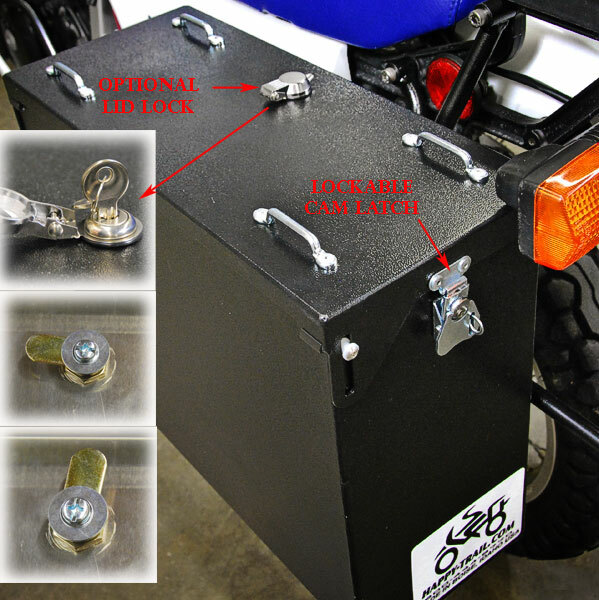 Mount your top box on aHappy-Trail Tail Plate System with our Isolator Mount Kit.